Home	/ Story of SVYM / (47) The generous Devadass! I first met Devadass on my first visit to Brahmagiri, along with Nanjunda Rao. The village accountant (I forget his name) was a close confidant of Nanjunda Rao and arranged for Devadass to meet and accompany us. Devadass was the President of the Mandal Panchayath (as it was known then, presently called the Gram Panchayath). He was the owner of a large piece of land and came on as a sincere person, very interested in the development of the local people, especially the tribals. Devadass was very happy that we would be coming to such an interior area and setting up a dispensary. He assured us of his full support. Apart from being our primary contact, he was also the person who gave our work legitimacy and credibility locally. He was a well respected leader and he was instrumental in getting us accepted by both the tribals and the non-tribals. It was he who first suggested to me that Brahmagiri was very difficult to access for the locals and it would help if we did not restrict our work to the tribals alone. He convinced us that the local villagers didn’t have access to health care and that we should consider building a hospital in a more accessible area. One day, I was talking to him over coffee in his house (which was a daily routine for me then) and he spontaneously offered us his land if we were willing to build the hospital at Kenchanahalli. He even asked me to come with him and see the land the same day. This two acre land of his was just outside the village, adjacent to the main road and accessible by bus – an ideal place for a hospital. That was 1988. It did not take a long time for me to accept his generous offer. 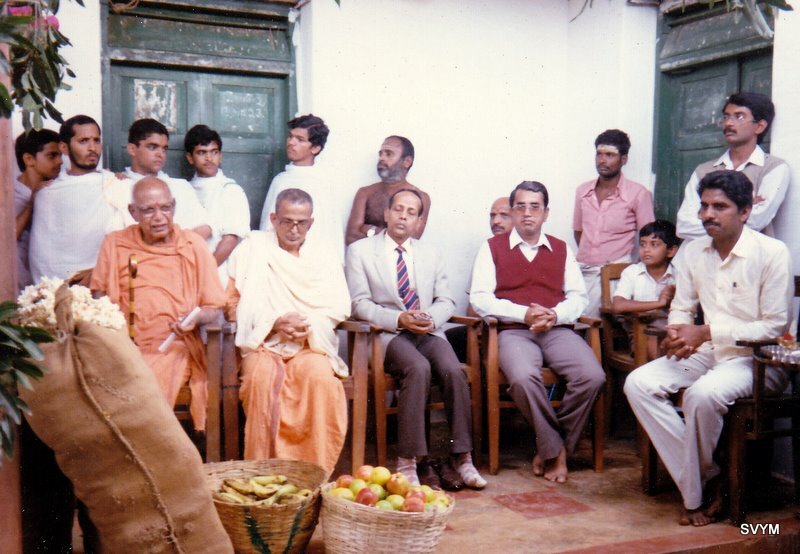 Mr.Baligar, then the Deputy Commissioner of Mysore helped us complete the formalities of transfer and we had the ground breaking ceremony in July 1988. The Shankaracharya of Kanchi was the chief guest for the function. As the organization grew and we moved to Saragur and started projects all over Karnataka, meeting Devadass became a rarity. Despite our not meeting regularly, he continues to be a great friend. I still fondly remember the fresh cow’s milk that his wife would offer me every time I visited them. It is people like Devadass who indeed make a difference. But for his timely support and encouragement, we would not have been able to make Kenchanahalli our base nor work in H.D.Kote Taluk. He was one of those rare politicians who genuinely desired that the area he represented be part of the development process and was willing to put his personal money and interests to further this cause. Thank you Devadass, may your tribe increase! Previous Article (46) Getting introduced to MSSV & Co.